As a wine lover, visiting wine regions around the world is a great way to see many places and experience cultures. One of the spots on my list that I can check off is the Loire Valley in France. Located in Central France, along the Loire River, the Loire Valley is also known as the “Cradle of the French” and the “Garden of France.” From Sancerre and Pouilly-Fume on one end to the Muscadet region on the Atlantic coast, the region produces predominantly white wine from the Chenin blanc, Sauvignon blanc and Melon de Bourgogne grapes. It is also the second largest sparkling wine producer in France, after Champagne. Loire Valley wines are known for their fruitiness and fresh, crisp flavors. Here’s a recap of one day as we traveled east from Angers to Nantes. 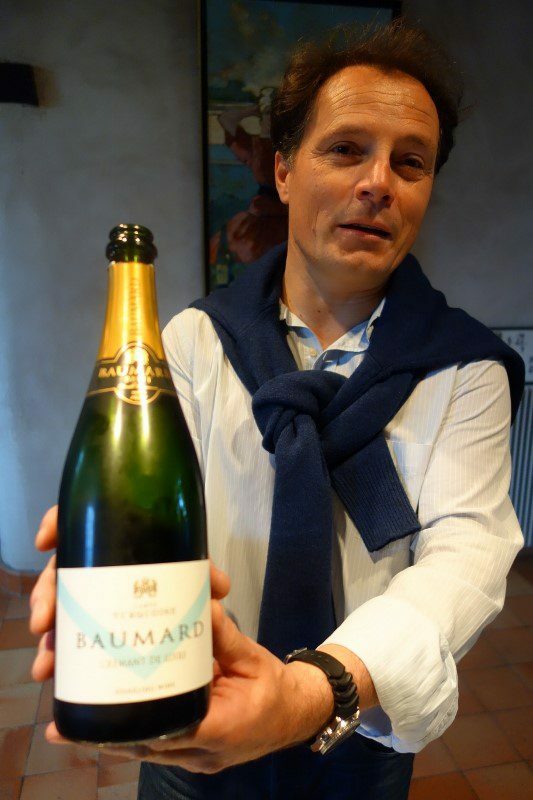 Florent Baumard runs the winery that was planted by his father Jean Baumard in the mid-1950s. Jean taught enology and planted the vineyards because he wanted to make wine his own way. After studying enology, Florent worked his first harvest in 1987. While he brought a “know-it-all” attitude from school, he learned through tasting and drinking with his father. 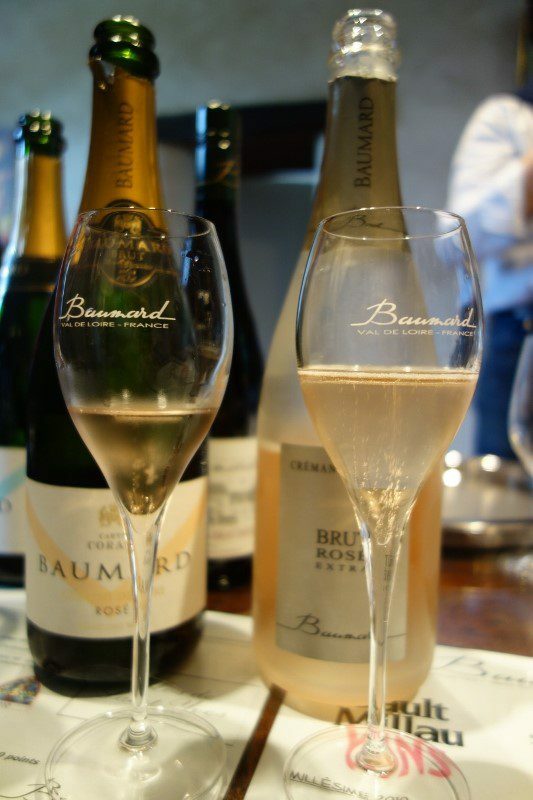 Today Domaine des Baumard produces 80% white wine, predominantly Chenin Blanc and sometimes half of which is sparkling wine production. Domaine des Baumard produces “natural wine” in which they treat the vineyards, the grapes, the animals and the people, with respect. 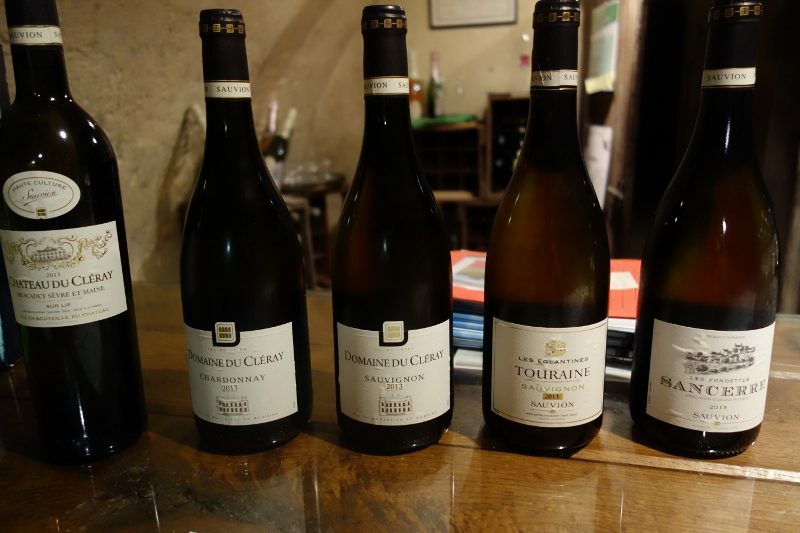 While there is a lot of tradition in the wine, Florent has taken a modern approach by using screw caps on all of the white wines. Located in the town of Clisson, the restaurant overlooks the river that flows next to the restaurant and the old chateau that stands on the hill. Owned by the Sauvion family since 1935, it is located in Chateau du Cleray-Sauvion, a fortress that dates back to the Middle Ages. Pierre-Jean Sauvion is the great grandson of Ernest Sauvion and joined in 2004 as Enologist. After studying in Bordeaux, he has worked in Napa and Australia before returning to the family winery. 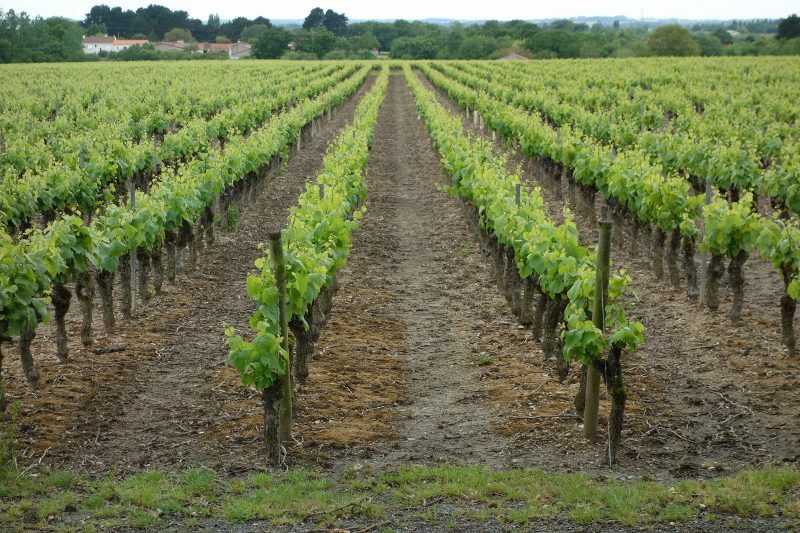 The flagship production is Muscadet, which is made from the grape Melon de Bourgogne and the soil is hard granite which gives a minerality to the wines. 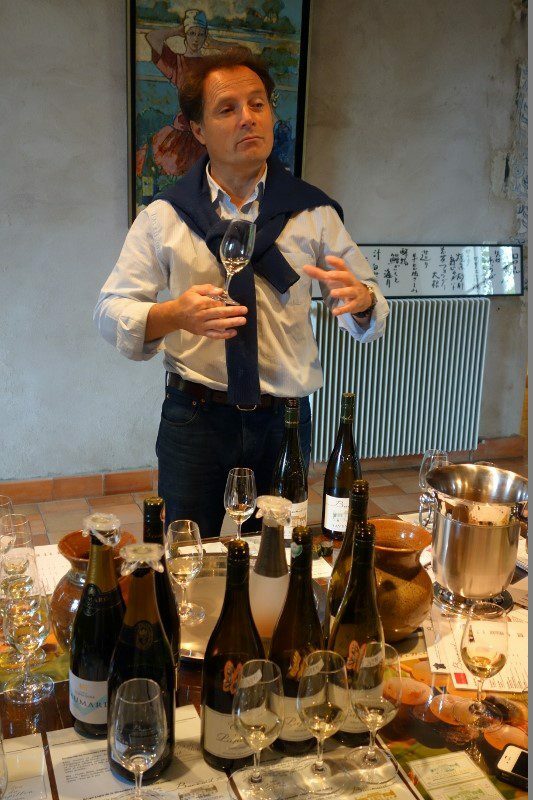 Former engineer Marc Ollivier opted for a slower way of life in the 1980s and returned to Muscadet-Sevre et Maine where his father owned some vineyards. He also bought Clos de Briords nearby and transitioned all of his vineyards to organic farming. Today, Marc and his partners Remy Branger (who joined in 2011) and Gwenaelle Croix (who joined in 2014) have 10 hectares with vines that are 50-60 years old. They were certified organic in 2007. 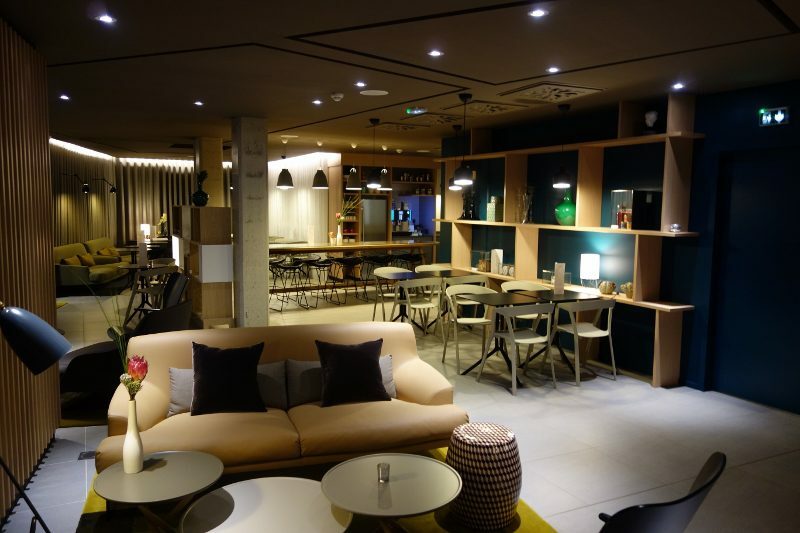 A bistro without a label, as the name says, l’Instinct Gourmand is about good food. Owned by Chef Sylvain Le Bras and Thomas Brunel who runs the front of the house, the two first met when they worked together in London. l’Instinct Gourmand is a great place to get a modern interpretation of classic French food. 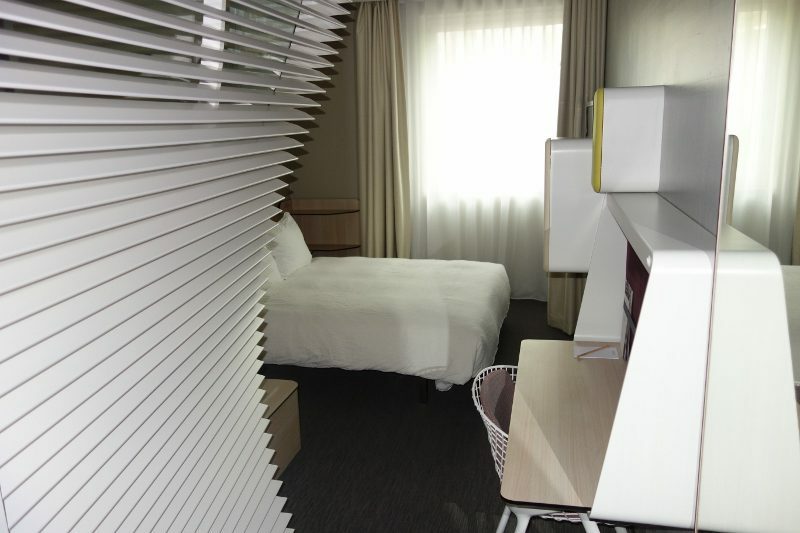 After a long day of driving, wine tasting and eating, we checked into the brand new, modern Okko Hotel in Nantes for a good night’s sleep. This entry was posted in Food, Lifestyle, Travel, Wine and tagged Domaine de la Pepiere, Domaine des Baumard, France, Loire Valley, Maison Sauvion, Nantes, Restaurant de la Vallee by Allison Levine.